If you put six 5th/6th graders in an otherwise empty classroom at 2:00p.m. on a Friday afternoon and tell them to talk to each other, what will happen? Ms. Laverne has just closed the door and left Haley, Holly, Amari, Ashton, Tiago and Esteban alone in Room 501. Instead of "No talking, " their directions are, "Talk to each other." What unfolds over the next days and weeks is a steady stream of surprising honesty and authenticity. These are kids who take the time to hear about the pain of deportation, prejudice and racism, bullying and a struggle of a father in prison. Their stories bring them together to are about each other. Empathy and acceptance are born along with the understanding that we all need to harbor each other. Told in the voices of children, this book has the power to kindle awareness and understanding with a hope that we will take time to walk in each other's shoes and discover our own power to care for another person and make that one small difference in the world. 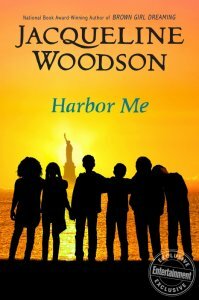 In HARBOR ME, through the eyes of Haley, a motherless and father-imprisoned young biracial woman, we come to know the lives and thoughts of six young students who have been assigned to a 5th/6th grade special needs classroom. These six tweens have been fortuitously blessed with a wise and innovative teacher, Ms. Laverne. Ms. Laverne establishes a routine for the class: On Friday afternoons, the students conclude the school week by moving to an art room without the teacher to talk among themselves. In this venue, which one student dubs “A Room to Talk,” they share their hopes and fears. Topics that arise over the course of the story include racism, police brutality, bullying, and wealth and privilege. Given today’s headlines, and the shocking utterances of candidate-and-then-President Trump, it seems appropriate that the first and foremost issue probed in HARBOR ME is immigration. “Esteban had been absent for days, and when he finally returned, Ms. Laverne asked him if he was up to doing some work and he nodded. That nobody know where they took him. And now we’re packing up everything, Esteban said. Because if they took him, maybe they’re going to take us too. Immigration is where HARBOR ME starts and ends. Esteban reveals that his father, an undocumented immigrant from the Dominican Republic, has been apprehended by ICE. Through much of the book we don’t know the whereabouts of Esteban’s father nor whether Estaban, who was born in the US, will suddenly disappear from school. It’s particularly meaningful for me to be writing about immigration at this point in time. I’m currently on my first visit to southern Italy and Sicily. This is where my maternal grandparents each emigrated from more than one hundred years ago, before meeting and marrying in New York. I literally exist because of the past generosity of America to welcome those looking for a better life. When I read about ICE agents tearing toddlers from the breasts of their mothers and putting them into detention camps, in an effort by the president to negotiate a “better” deal on immigration “reform,” I am deeply disturbed, as I’m sure you are. How can America speak with moral authority, when our government behaves in this fashion? For the sake of these children, and for the sake of our country’s future, we need to find our better angels right now. Jacqueline Woodson, currently the National Ambassador for Young People’s Literature, has crafted a middle school novel that is in equal measure poetic and topical. And frequently heartbreaking. 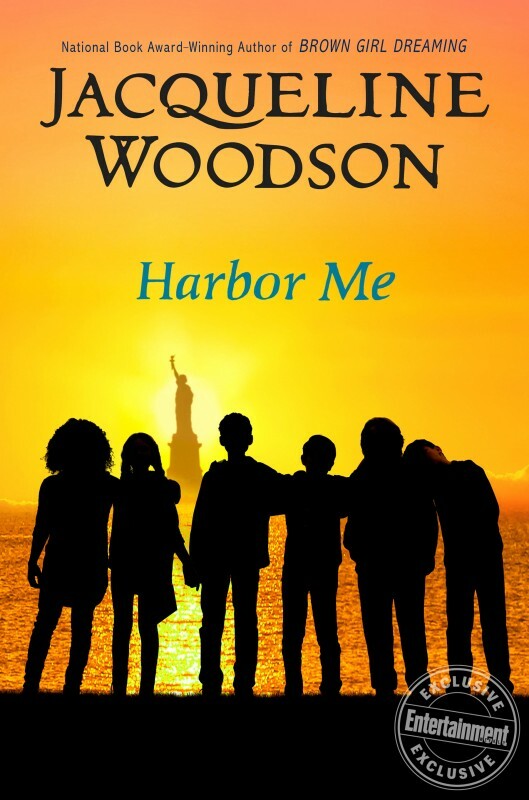 Through the voices of these six characters--Haley, Holly, Esteban, Amari, Tiago, and Ashton--HARBOR ME immerses young readers in peer discussions of issues that, sadly, far too many of our children face on a daily basis.